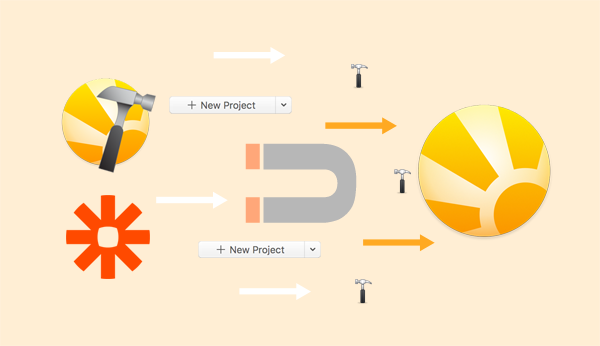 Want to automatically have a new project in Daylite pop up when you create a new project in Asana or Basecamp? Or how about have a new project appear in Daylite when someone fills out a specific form on your website? Well, now that projects are in the Daylite API, you can! Automate creating new Projects in Daylite from other apps through Zapier, or build your own custom integration with a developer. Don’t worry about having to do double data entry for your projects. If others on your team are using another project management app like Asana or Basecamp, but you want to use Daylite, you can pull those projects from Asana or Basecamp right in Daylite. With our latest update to the Daylite API, you can automate creating new People, Companies, Opportunities, Appointments, and now Projects, too! To use a Daylite + Asana zap, Daylite + Basecamp zap, or to create your own, visit our Zapbook and use this help article. Have a developer? Build your own custom integrations by visiting our Developer Hub. Zapier integration and the Daylite API are available exclusively to Daylite Cloud customers. If you’re interested in using Zapier, contact us about Going Cloud.